"Wu dynasty" redirects here. For the earlier Zhou kingdom, see state of Wu. For the later Wu dynasty of the Sui–Tang interregnum, see Li Zitong. For the later Ten Kingdoms empires, see Wuyue and Yang Wu. For the present-day university of the same name, see Soochow University. The territories of Eastern Wu (in magenta), 262. Wu (222–280), commonly known as Eastern Wu or Sun Wu, was one of the three major states that competed for supremacy over China in the Three Kingdoms period (220–280). It previously existed from 220–222 as a vassal kingdom nominally under Cao Wei, its rival state, but declared independence from Wei and became a sovereign state in 222. It became an empire in 229 after its founding ruler, Sun Quan, declared himself 'Emperor'. Its name was derived from the place it was based in — the Jiangnan (Yangtze River Delta) region, which was also historically known as "Wu". 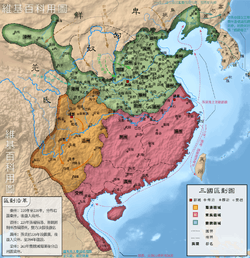 It was referred to as "Eastern Wu" or "Sun Wu" by historians to distinguish it from other Chinese historical states with similar names which were also located in that region, such as the Wu state in the Spring and Autumn period and the Wuyue kingdom in the Five Dynasties and Ten Kingdoms period. It was called "Eastern Wu" because it occupied most of eastern China in the Three Kingdoms period, and "Sun Wu" because the family name of its rulers was "Sun". During its existence, Wu's capital was at Jianye (present-day Nanjing, Jiangsu), but at times it was also at Wuchang (武昌; present-day Ezhou, Hubei). Towards the end of the Han dynasty, Sun Ce, the eldest son of the warlord Sun Jian, and his followers borrowed troops from the warlord Yuan Shu and embarked on a series of military conquests in the Jiangdong and Wu regions between 194 and 199, seizing several territories previously occupied by warlords such as Liu Yao, Yan Baihu and Wang Lang. Sun Ce broke off relations with Yuan Shu around 196-197 after the latter declared himself emperor — an act deemed as treason against Emperor Xian, the figurehead ruler of the Han dynasty. The warlord Cao Cao, who was the de facto head of government in the Han imperial court, asked Emperor Xian to grant Sun Ce the title of "Marquis of Wu" (吳侯). Sun Ce was assassinated in the summer of 200 and was succeeded by his younger brother, Sun Quan. Sun Quan, like his elder brother, also paid nominal allegiance to Emperor Xian while maintaining autonomous rule over the Wu territories. In 208, Sun Quan allied with the warlord Liu Bei and they combined forces to defeat Cao Cao at the Battle of Red Cliffs. Sun Quan and Liu Bei maintained their alliance against Cao Cao after the battle for the next ten years or so, despite having some territorial disputes over Jing Province. In 219, Sun Quan severed ties with Liu Bei when he sent his general Lü Meng to invade Liu's territories in Jing Province. Guan Yu, who was defending Liu Bei's assets in Jing Province, was captured and executed by Sun Quan's forces. After that, the boundaries of Sun Quan's domain extended from beyond the Jiangdong region to include the southern part of Jing Province, which covered roughly present-day Hunan and parts of Hubei. In 220, Cao Cao's son and successor, Cao Pi, ended the Han dynasty by forcing Emperor Xian to abdicate in his favour and established the state of Cao Wei. Sun Quan agreed to submit to Wei and was granted the title of a vassal king, "King of Wu" (吳王), by Cao Pi. A year later, Liu Bei declared himself emperor and founded the state of Shu Han. In 222, Liu Bei launched a military campaign against Sun Quan to take back Jing Province and avenge Guan Yu, leading to the Battle of Xiaoting. However, Liu Bei suffered a crushing defeat at the hands of Sun Quan's general Lu Xun and was forced to retreat to Baidicheng, where he died a year later. Liu Bei's successor, Liu Shan, and his regent, Zhuge Liang, made peace with Sun Quan later and reaffirmed their previous alliance. Sun Quan declared independence from Wei in 222, but continued to rule as "King of Wu" until 229, when he declared himself "Emperor of Wu". His legitimacy was recognised by Shu. Sun Quan ruled for over 30 years and his long reign resulted in stability in southern China. During his reign, Wu engaged Wei in numerous wars, including the battles of Ruxu (222–223), Shiting (228), and Hefei (234). However, Wu never managed to gain any territory north of the Yangtze River while Wei also never succeeded in conquering the lands south of the Yangtze. A succession struggle broke out between Sun Quan's sons in the later part of his reign — Sun Quan instated Sun He as the crown prince in 242 after his former heir apparent, Sun Deng, died in 241, but Sun He soon became involved in a rivalry with his younger brother, Sun Ba. The conflict resulted in the emergence of two rivalling factions, each supporting either Sun He or Sun Ba, in Sun Quan's imperial court. Sun Quan eventually deposed Sun He and forced Sun Ba to commit suicide, while Lu Xun and many other ministers who took either Sun He's or Sun Ba's side in the struggle met with unhappy ends. Sun Quan appointed his youngest son, Sun Liang, as the crown prince after the incident. Sun Quan died in 252 and was succeeded by Sun Liang, with Zhuge Ke and Sun Jun serving as regents. In 253, Zhuge Ke was assassinated in a coup launched by Sun Jun, and the state power of Wu fell into Sun Jun's hands and was passed on to his cousin, Sun Chen, after his death. During Sun Liang's reign, two rebellions broke out in the Wei commandery of Shouchun (around present-day Shou County, Anhui) in 255 and 257–258. Sun Jun and Sun Chen led Wu forces to support the rebels in the first and second rebellions respectively in the hope of making some territorial gains in Wei, but both revolts were suppressed and the Wu forces retreated after suffering many losses. Sun Liang was deposed in 258 by Sun Chen, who installed Sun Xiu, another son of Sun Quan, on the throne. Sun Xiu killed Sun Chen later in a coup with the help of Zhang Bu and Ding Feng. Sun Xiu died of illness in 264, a year after Shu was conquered by Wei. At the time, Wu was experiencing internal turmoil because rebellions had broken out in Jiaozhi (交趾) in the south. The ministers Puyang Xing, Wan Yu and Zhang Bu decided to install Sun He's son, Sun Hao, on the throne. 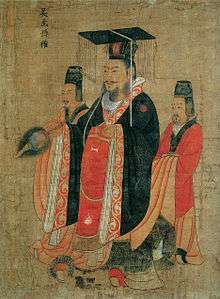 In the beginning of Sun Hao's reign, the emperor reduced taxes, gave relief to the poor, and granted freedom to a large number of palace maids. However, Sun Hao gradually became more cruel and superstitious and started indulging in wine and women instead of finding ways to revive his declining state. Sun Hao's tyranny caused widespread anger and hatred towards him in Wu, but it was due to the efforts of officials such as Lu Kai and Lu Kang that Wu was able to remain relatively stable and peaceful. In 265, Sima Yan ended the state of Cao Wei by forcing its last ruler, Cao Huan, to abdicate in his favour, and then established the Jin dynasty. In 279, Jin forces led by Du Yu, Wang Jun and others attacked Wu from six directions. Sun Hao attempted to put up resistance by sending his armies to fight the Jin invaders, but the Wu forces suffered several consecutive defeats and even the Wu chancellor, Zhang Ti, was killed in action. Seeing that Wu was doomed to fall, Sun Hao surrendered to the Jin dynasty on 31 May 280, marking the end of Wu and the end of the Three Kingdoms period. Despite Wu and its court becoming imperial in 229, Sun Quan had kept Wu in a warlordism reflected state. When Wu was initially founded its military was dominated by famed generals who had gained their positions through prowess and pluck. These generals were celebrated for their individualism. Politics within the court were often influenced by conflicts between powerful families and individuals. Positions within the court were inherited from one generation to the next unlike the Han dynasty's bureaucracy. However, over time, the influence ultimately would move away from the central government. Outside of the court, families displayed their own independent authority. Wu, at times, was to a certain extent run for the protection of particular families. Shu Han imported cotton into Eastern Wu. The culture of Wu was most solidified under the reign of Sun Quan from 229 to 252. Migrations from the north and the needed settlement from the Shanyue barbarians made it possible for the increase in manpower, agriculture, and settling the lower most parts of Wu. Along with that, river transportation became a huge factor and flourished as the Jiangnan and Zhedong canals were finished with construction. After the Battle of Xiaoting and during the invasions of Wu by Wei in the 220s, Shu was able to reestablish their trade and relationships with Wu. Shu's cotton was a great influx for Wu, and the development of shipbuilding, salt, and metal industries was greatly increased. Eastern Wu was able to make close overseas trade with countries such as Vietnam and Cambodia. Wu also traded with India and the Middle East. Many stories have reported martian encounters within the Wu kingdom. Evidence is identified in a story by Eastern Jin writer Gan Bao. The story is part of Gan Bao's writing called In Search of the Supernatural. The story states within the Wu kingdom, the ancients recorded an event where playing children encountered a child with a strange appearance who stood at 1.3 meters tall, was dressed in blue and possessed shining eyes. Since the children have never seen this creature in the past, they surrounded it and asked it many questions. It replied, "I am not from the earth, but from the Mars, I saw that you are playing so happily so I came down to see you.". The being also said, "The state of having three kingdoms standing will not last long, In the future, the world will belong to the Sima family." The children, became frightened and reported this to the nearby adults. However, when the adults came to the sight, the strange being disappeared by shrinking and jumping into the air. When people lifted their heads upward to watch him, they could only happen to see a white silk cloth dragging along a long belt, flying fast towards the sky above. The event was so bizarre, nobody would try to speak of the event again. Personages with clerical or scholarly abilities had roles to play within the state, but the policies were more determined by those of military command. Nevertheless, every Wu army was in need of administrative support and, according to Rafe de Crespigny, certain scholars were "recognised as practical counsellors, regardless of their fighting prowess or their ability to command troops in the field." Under the reign of Sun Quan, he needed a strong role of advisors and secretaries in order to keep his link of power in a maintained level. Sun Quan's prestige in dealing with hostiles and friendly relations called for the establishment of a controlled form of an imperial government for the empire of Wu. Sun Quan also created the opportunity for people residing within Wu to gain prestige and influence throughout the empire and the surrounding establishments with the duty of being an envoy. Following the death of Cao Pi in 226, Sun Quan strongly promoted his kingdom to focus on agriculture because the threat from Wei was lifted. However, Lu Xun suggested to Sun Quan that military commanders should become involved in the colonization of land. Sun Quan quickly accepted and he, along with his sons would execute the memorial presented by Lu Xun. However, in 240, Sun Quan restrained Lu Xun's idea and refocused on agricultural works, because Wu came to suffer a severe famine. In 234, when Zhuge Ke was in control of affairs in the south, he strongly ignored the colonisation order and viciously ordered the agriculture factor, often starving enemies into submission. An Eastern Wu green-glaze ceramic jar with human figures, birds, and architecture on display in the Nanjing Museum. Under the rule of Wu, the Yangtze River Delta region, regarded in early history as a barbaric "jungle" developed into one of the commercial, cultural, and political centres of China. The achievements of Wu in the south marked the coming of Chinese civilization to the farthest southern reaches of the empire. In 230, the island of Taiwan was reached by the Chinese during the Three Kingdoms period under the reign of Sun Quan. Contact with the native population and the dispatch of officials to an island named "Yizhou" (夷州) by the Wu navy might have been to Taiwan, but the location of Yizhou is open to dispute; some historians believe it was Taiwan, while others believe it was the Ryukyu Islands. 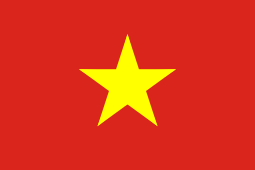 Wu merchants also may have reached Southern Vietnam and Cambodia. Failed protection of Gongsun Yuan also was in existence when the latter rebelled against Wei. This was because of the waterway's difficulties. Such things cost Wu, and the achievements supposedly gained within Taiwan did not cover this problem and Sun Quan lost his vassal. Later on in the existence of Wu, the once great military was turned to an unimpressive military. It was most likely an easy task to take Hefei from Wei, but Wu could not do so. Since the 230s, this task was made harder due to the "New City", a heavily fortified castle built at Hefei by Wei. One of the greatest failures to accomplish something later on in Wu's reign was during 255 and during the last few years of the 250s. When Guanqiu Jian and Wen Qin rebelled against Wei, Wu promised to help the two in Shouchun (around present-day Shou County, Anhui). However, the Wu forces never made it in time before the rebellion was quashed by Sima Shi and the Wei forces. When Zhuge Dan launched a massive full-scale rebellion, the Wu forces suffered a great defeat as they lent a great quantity of manpower to Zhuge Dan's cause. Shouchun was quickly regained by Wei under Sima Zhao's command. During the conquest of Shu by Wei in 263, Wu could not fully lend support to their allies due to a revolt in Vietnam. The decline of Wu was long in existence since the death of Lu Xun in 245 and the death of Sun Quan in 252. Sun Quan's successors could do little for the empire. Zhuge Ke was assassinated by Sun Jun in 253 after a failed invasion of Hefei following the Wu victory over an invading Wei force at Dongxing. Ding Feng also ended up killing Sun Chen under orders from Sun Xiu. Corruption plagued Wu, which led to an easy conquest of Wu by the Jin dynasty in 280. 孫堅 (N/A) (N/A) Sun Jian's temple and posthumous names were granted posthumously by Sun Quan. 孫策 (N/A) (N/A) Sun Ce's posthumous name was granted posthumously by Sun Quan. 孫和 (N/A) (N/A) Sun He's posthumous name was granted posthumously by Sun Hao. An Eastern Wu funeral urn, dating from the third century, on display in a museum in Tokyo, Japan. A portrait of Sun Quan painted by Yan Liben in the Tang dynasty. 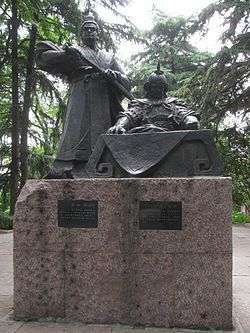 Statues of Sun Quan (left) and Sun Ce. A statue of Sun Quan at Meihua Hill, Purple Mountain, Nanjing, Jiangsu. ↑ The coinage policies of this period are described in CS 26, 794-5; Yang, "Economic history," 191-2. See also the article of Ho Tzu-ch'üan, "Manorial economy," summarised in Sun and DeFrancis, Chinese social history, at 140. On the large coins of Wu, and the attempt to enforce a monopoly of minting, see SGZ 47/Wu 2, 1140, 1142 and 1146 PC quoting Jiangbiao zhuan. ↑ Divided from the original Jiangxia Commandery. When Eastern Wu took control of the commandery, it was unknown whether it still existed. The commandery capital was unknown. 1 2 3 Dardess, John W (10 September 2010). "The Three Kingdoms, 221-264". Governing China, 150-1850. Indianapolis: Hackett Pub. Co. p. 7. ISBN 1603844473. Weakened by internal strife, horrific palace murders, and major defections to the enemy, the last Wu emperor surrendered on 31 May 280, and his realm was annexed to the Jin. ↑ Tanner, Harold M. (13 March 2009). "Chapter 5: The Age of Warriors and Buddhists". China: A History. Hackett Publishing. p. 142. When it was established, Wu had only one-sixth of the population of the Eastern Han Empire (Cao Wei held over two-thirds of the Han population). ↑ de Crespigny 1990, 3. ↑ Rafe de Crespigny (1990). "Chapter 8 Empire in the South". Generals of the south : the foundation and early history of the Three Kingdoms state of Wu (PDF). Cambera: Australian National University, Faculty of Asian Studies. ISBN 0731509013. Retrieved 2 January 2015. Though Sun Quan had claimed the imperial title in 229, and made some pretence of establishing the forms of an imperial court, the government of Wu continued to reflect the structure of a warlord state. In human terms, the time of the foundation of Wu was dominated by military commanders who held authority through their personal courage and energy, and were celebrated for their individualism, and it was no small achievement that Sun Quan was able to keep such a group under control. ↑ Rafe de Crespigny (1990). "Chapter 8 Empire in the South". Generals of the south : the foundation and early history of the Three Kingdoms state of Wu (PDF). Cambera: Australian National University, Faculty of Asian Studies. ISBN 0731509013. Retrieved 2 January 2015. Politics at court were largely dominated by the intrigues and conflicts of powerful individuals and families. In particular, unlike the bureaucracy of Han, substantial official positions, and particularly those involving the command of troops, were regularly transferred by inheritance from one generation to the next. In the course of time, however, there was a shift of influence in the central government from the first generation of men who had risen to power in the early years of the state, many of them from the north and all chosen for their personal ability and loyalty, to men from south of the Yangzi, whose families had prospered under the Sun regime. ↑ Rafe de Crespigny (1990). "Chapter 8 Empire in the South". Generals of the south : the foundation and early history of the Three Kingdoms state of Wu (PDF). Cambera: Australian National University, Faculty of Asian Studies. ISBN 0731509013. Retrieved 2 January 2015. Outside the court and the capital, moreover, great independent authority was held by these local families, which consolidated their power through the acquisition of tenants and other dependents who sought protection from the uncertainty of the times and the demands of government. This development, already begun in the time of Han, meant that the power of the central government was limited, and its capacity to exploit the resources of the state was heavily restricted. To a degree, the state of Wu was run for the protection and the benefit of the great families who were its nominal subjects. ↑ "Travel China Guide". Retrieved 29 November 2014. 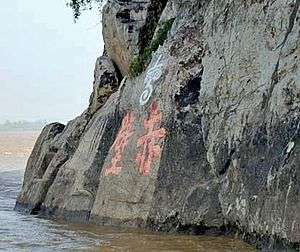 Due to the convenient river transportation in the east of Yangtze River, the shipbuilding industry and salt industry of Wu were prosperous. During that period, the ships were improved to hold about 1,000 people. 1 2 de Crespigny 1990, 24. ↑ "Travel China Guide". Retrieved 29 November 2014. Depending on the advantage of navigation, Kingdom of Wu established close trade routes with some overseas countries such as Vietnam and Cambodia. ↑ Eberhard, Wolfram (1987). A History of China (4th ed., corr. in the 3rd print. ed.). Berkeley: University of California Press. ISBN 0520032683. ↑ "Ancient Chinese Texts Indicate Alien Sightings Four Thousand Years Ago". China. The Epoch Times. Retrieved 8 October 2012. According to a report on China Economic Net, a story in the book entitled "In Search of the Supernatural"  by Gan Bao of the East Jin Dynasty (317 AD - 420 AD) tells of contact with Martians. ↑ "Ancient Chinese Texts Indicate Alien Sightings Four Thousand Years Ago". China. The Epoch Times. Retrieved 8 October 2012. In the Wu Kingdom during the Three Kingdoms Period  (222 AD - 280 AD), the ancients wrote of child possessing a strange appearance appearing among a group of playing children. He was 1.3 meters tall, dressed in blue and had shining eyes. ↑ "Ancient Chinese Texts Indicate Alien Sightings Four Thousand Years Ago". China. The Epoch Times. Retrieved 8 October 2012. The other children had never seen this newcomer before, so they surrounded him to ask questions. "I am not from the earth, but from the Mars," said the child dressed in blue, "I saw that you are playing so happily so I came down to see you." ↑ "Ancient Chinese Texts Indicate Alien Sightings Four Thousand Years Ago". China. The Epoch Times. Retrieved 9 October 2012. "The state of having three kingdoms standing will not last long," the child continued. "In the future, the world will belong to the Sima family." The Earth children were scared by this news, and one quickly ran to fetch the adults. When the adults rushed over, the Martian child bid the goodbye and immediately shrank his body and jumped into the air. ↑ "Ancient Chinese Texts Indicate Alien Sightings Four Thousand Years Ago". China. The Epoch Times. Retrieved 9 October 2012. When people raised their heads to watch him, they could only see a white silk cloth dragging a long belt, flying rapidly towards the sky. Nobody dared to spread the bizarre event at the time. 1 2 3 de Crespigny 1990, 4. ↑ de Crespigny 1990, 6. ↑ de Crespigny 1990, 6–7. ↑ de Crespigny 1990, 7. ↑ de Crespigny 1990, 8. ↑ de Crespigny 1990, 1. ↑ de Crespigny 1990, 9–10. 1 2 3 de Crespigny 1990, 10. ↑ de Crespigny 1990, 11.
de Crespigny, Rafe (1990). "Empire in the South". Generals of the South: The Foundation and Early History of the Three Kingdoms State of Wu (2004 Internet ed.). Cambera: Faculty of Asian Studies, The Australian National University. ISBN 0731509013. Archived from the original on 9 July 2012. Retrieved 22 September 2016.